blog.samseidel.org: Interview. Tom Hughes, Memories of the Brattle Theater and the Cambridge of his youth. Interview. Tom Hughes, Memories of the Brattle Theater and the Cambridge of his youth. It was June 1961 and Soviet leader Nikita Khrushchev had just finished berating 44-year-old John Kennedy at the Vienna Summit. Robert White became the fastest man on earth by flying a U.S. Air Force plane 3,600 miles per hour, one mile every second, and Ernest Hemingway was one month away from his demise. If you wanted to take a break from it all and forget about the world for a while, there were always the movies. Few places are better than the dark of the theater to get away from the pressing business of the day. If you liked the arty stuff, the European stuff, the Brattle Theater in Harvard Square was busy redefining the rules for American film-goers. They were showing films you couldn't see elsewhere in the country. Man in a Cocked Hat. The Naked Night. Othello. 3 Penny Opera. Grand Illusion. The Seventh Seal. I recently sat down with Tom Hughes to hear about those days. Tom worked at the Brattle back then as a young man. He remembered the theater in those early days and its mercurial founder Cy Harvey, a man who was said to have the Midas touch turning everything to gold, a man who started not only the Brattle but also Crabtree & Evelyn out of a small shop in Harvard Square called Truc. Tom also remembered the Cambridge of his youth, the city he grew up in over a half-century ago. Here is Tom's story. Tell me about the founding of the Brattle? Cy Harvey was in World War Two. He came home after staying in Paris for a while and he meets a guy named Bryant Haliday who he went to Harvard with. Cy was really into foreign films. He was supposed to be going to the Sorbonne, but he was mostly going to look at foreign films like Truffaut and so on. He comes back and he meets Bryant on Brattle Street, and he finds out that Bryant’s grandmother had left him the Brattle Theater which at one point a dance hall and other things. By the way my mother went to her prom there in 1930. Anyway, Cy has the idea of importing foreign films and showing them in Harvard Square. We’ve got to be talking about late 1940s or early ‘50s. Apparently at this time the only other foreign film theater in the United States was in Greenwich Village. Bryant owns the theater. They have the first rear-projection theater around where its not projected from the balcony. This gave them a little bit more room and space. At the same time, Cy thinks of opening up a bar at the back of the theater. He’s very successful bringing in foreign films but also stuff like Casablanca, American films, Humphrey Bogart and so on. He shows Casablanca during reading periods and there are lines around the block. All the students have seen it at least four times in their career at Harvard and they recite some of the lines that Bogart gives. We used to give out Bogie buttons at the theater. This is in the late 1950s or early '60s. Cy and Bryant used to tear tickets, collect the money. I think at the time it was 50 cents to get into the theater because when I started working there it was 75 cents. Cy then starts a film company called Janus Films and he opens up a bar nightclub and calls it the Casablanca and it becomes a very popular bar. People from all walks of life are going there and having cocktails. It was a great hangout for a lot of people. What’s Harvard Square like at this time? They have Cardullo’s restaurant. There’s a place called Albiani’s restaurant. These are big cafeteria style restaurants that all the students liked to eat in. 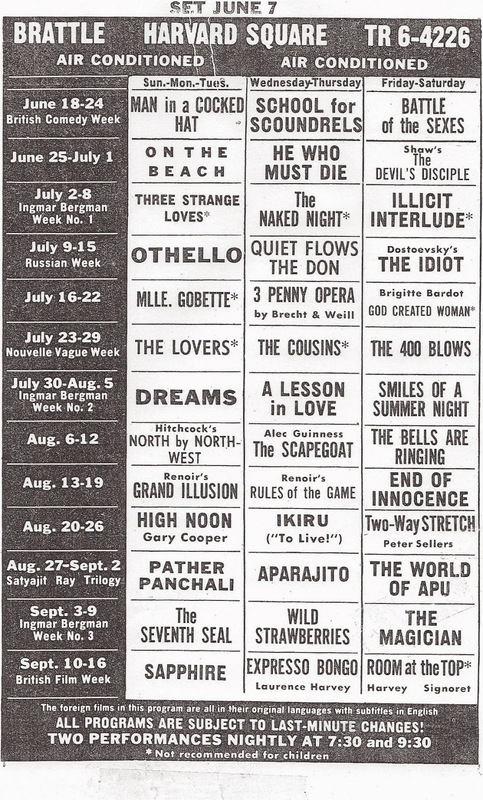 The Harvard Square Theater was called the University Theater when I was a kid. It was a neighborhood theater as well as a theater for the Harvard and Radcliffe students. Saturday morning they used to have a 10 o’clock showing just for kids. Did they show cartoons or something? No, it was the whole deal. They would show news events, Pathe news. This had to be end of WWII, the Korean War. As a kid, I used to love to watch these news films even before the regular feature came on, before Tonto and the Lone Ranger came on. If you saved your ticket stub, the other half you’d put it in for a drawing. After the news they’d have a drawing for 100 shiny pennies and if your number was read off, you’d get 100 shiny pennies. And then they’d have the regular feature. And then after that, they’d have a short — Tom Corbett Space Cadet where the rocket ships would take off but not straight up but zip around. You were out of there by 12 o’clock. You got to see newsreels, cartoons, a main feature. It was great. Eventually, you started working at the theater. How did you get the job? I worked there when I was a freshman in college. I got the job because Cy lived on the same street I did in West Cambridge. We lived on Sibley Court, he lived on Sparks Street. My mother used to babysit for his daughter. He had married a French woman. She was kinda different. The reason my mother was babysitting for her, she didn’t work, but she and a Jewish lady across the street, Mrs. Shain, used to like to go to Suffolk Downs and catch the afternoon meet and gamble and she didn’t want her husband to know this so she would leave the baby, Papette, with my mother and she would come back at 5 pm after the afternoon at Suffolk Downs and pick the kid up. Cy knew that my mother was a babysitter and I had met him and so he offered me a job. I’m 19 at the time. This is at the Harvard Square Theater. We all had to wear blue blazers. We all went over to J. August on Mass. Ave. and we all got fitted for blue blazers. He wanted to do it right. And we had flashlights and we’d show people their seats and that’s how I started there. I disliked dressing up wearing ties and blazers and at the Brattle Theater you could wear anything, and so I started working at the Brattle in 1961. I did it right through college and graduate school. I would take tickets. You didn’t have to show people their seats. Was it configured the same way it is today? No. Where the Algiers is now, that was a big door that opened up onto the street. You entered next to the Adult Education Center. Inside it was basically the same building as it is today. We used to sneak in there until the guy who was managing it who’d graduated from Harvard, Buddy Cramer, he and his wife, he worked for Cy and he leased the Blue Parrot Coffee Shop, he said, “You guys don’t have to sneak in, I’ll let you in for nothing.” So, that’s how we knew about the place, and then a lot of us worked there later on, and a lot of my friends, I would get them jobs there. Did that include Rich Rossi? It included the present-day City Manager of Cambridge. He was a part-time manager at the Brattle Theater. He says it was the best job he ever had. He loved it. How about for you, was it a fun job for you? It was terrific. You know the old story, one hand washes the other. I used to let the waiters from the Casablanca in for nothing and then when I went downstairs, they’d let me drink for nothing there. It wasn’t an even swap because it was only 75 cents to get in, and you could drink a lot of beers. You worked there for a few years? I worked there until I got a job teaching overseas. I was actually working there when I got my first teaching job in Winthrop. Then at the end of my first year in Winthrop, I went overseas to work for the Department of Defense to teach and that was the last time I worked there. Did you go see some of these films that were being shown? We saw all the films. We all became experts on Ingmar Bergman and Truffaut and Fellini. Even to this day, we all can talk about the great Fellini films. Jean Renoir, the son Auguste Renoir, the painter, was a famous film producer and we showed many of Renoir’s films at the theater at the time. We showed the Grand Illusion, we showed Boudu Saved from Drowning. These are classic Renoir films, all in black and white. What was it like seeing those movies then? These were classic films. Some of these films, they were done in 1922, 1932, black and white, Boudu Saved from Drowning was done right on the Seine. That was a classic film. I found it the other day at the library in Cambridge and I looked at it and it brought back memories of forty years ago. Did the directors come and visit here? Switching gears a little, I want to ask you about the Cambridge of your youth. What was it like for you growing up in your neighborhood? I grew up in what today is West Cambridge and is considered one of the nicer parts of the city. When I was growing up there, part of it was very nice, the other part I lived in was typical working class. 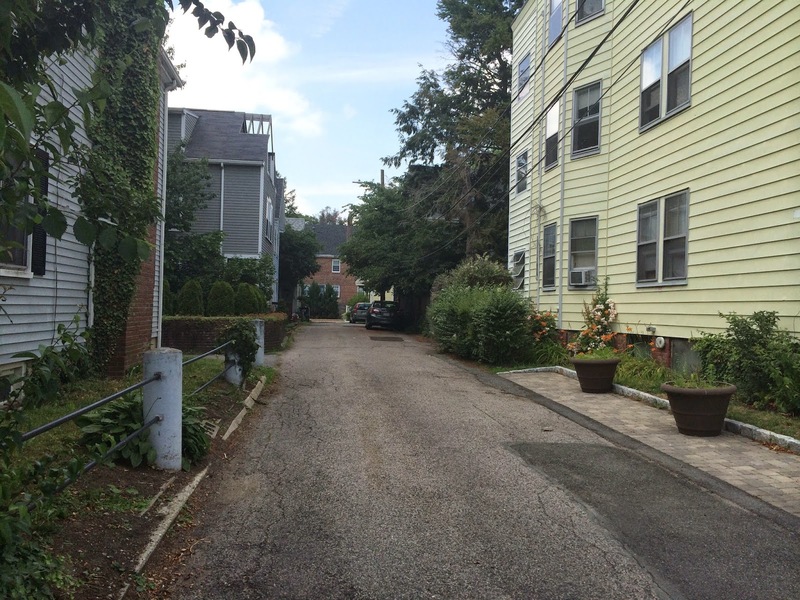 This was the area below Brattle Street. It was called the Marsh because at one time before they put in the locks at the harbor, it used to overflow, hence the word marsh. People who lived there historically worked for estates on Brattle Street. They were the caretakers, the gardeners, and so on. A lot of them had their own crafts. They were housepainters and truck drivers. There was the Su-Lee Wet Wash Laundry. It was an ethnic mix. There were poor Italian, poor Irish. Some Chinese. A few Jewish families. One owned an antique store there. By 1960, there was a section that was considered blighted so urban renewal came in. Luckily it wasn’t our side of the street but the other side which was mostly garages, a wet wash laundry, an antique shop, kind of rundown housing, but it was cheap and affordable for Italian and Chinese immigrants. But they tore it all down which would probably never happen today, and all my friends wound up living in housing projects in Cambridge and Somerville. They really didn’t do a lot for the people they displaced, but they put in some very nice housing. 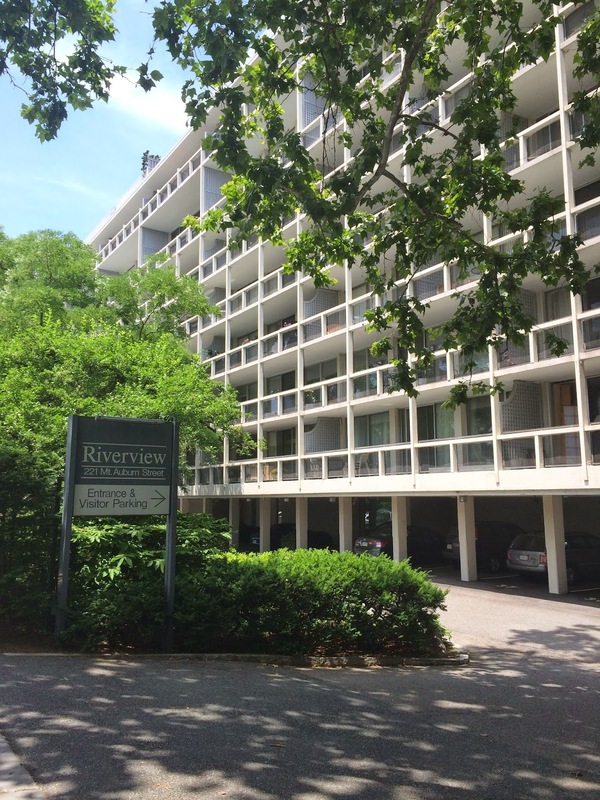 The Riverview apartments basically occupy most of the area. There was a family that lived in back in a very nice house — she was the daughter of General “Beetle” Smith, who was the primary aide to Eisenhower in WWII, lived right on Bradbury Street. What would you do as kids? We were a little way from the Cambridge Common which was really the only place you could really play baseball, so there was a small park on the corner of Memorial Drive, Hawthorn and Mt. Auburn Streets and we’d play baseball in the park there. It wasn’t organized. It was just like back in the '40s and '50s and '60s before parents organized kids, we all went down there and chose up sides and played baseball. A lot of time arguing over whether the kid was safe or out or ball or strike. There were no barriers. Foul balls wound up on Memorial Drive. Wild pitches in Memorial Drive. It was a small park but when you’re ten years old, you don’t need a big park and a few kids could hit it out onto Mt. Auburn Street. It was a nice place. It was close to home. Within 5 minutes we could be back for lunch. I remember there were streetcars there. I swam in the Charles River when I was 7 or 8 years old. This was '47 or '48. We swam at Gerry’s Landing. It was where the Eliot Bridge is now. And the bathhouse is the present-day American Legion Marsh Post but that was actually a bathhouse. And we’d go up there and swim in Gerry’s Landing and I’m sure it was somewhat polluted and it even became worse as time went on. Everybody dumped into the river. Even the Mt. Auburn Hospital would dump into the Charles River. After that, by the early '50s you couldn’t swim in it anymore and that’s when they began to build MDC pools along the river. Magazine Beach, where Riverside Boat Club is today, that used to be a beach on the river where people swam. I never went down there. So when they closed the river to swimming, they built these pools and that’s where kids would swim for the summer. As you think back on it all, what are your thoughts? The idea that the old days were so great ... they really weren’t that great. My parents had very little money. I went to the local Catholic grammar school. I still have guilt from serving under the nuns. For my parents, life would revolve around the church and working. There wasn’t a lot of social entertainment. My parents almost never ate out. In fact I don’t ever remember eating in a restaurant except for once a year we’d go to the Turkey Farm in New Hampshire. My father wouldn’t mind going up there because nobody knew him. He enjoyed going up there, one of the few social events he enjoyed. Typical Irish family, everything played close to the vest. Don’t take any risks. It was an interesting neighborhood. You had a lot of ethnic mixes. You still had a lot of racism, ethnic competition, “Don’t let the Italians get ahead of you, don’t let this one get ahead of you.” They were still into that kind of stuff. But they all voted Democratic. They all came through the Depression and had terrible memories of it. They thought Roosevelt was a god, and in my estimation he was. 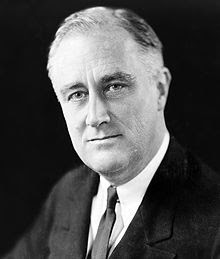 Without the New Deal, we wouldn’t have what we have today. And they all became Roosevelt Democrats, and ever since everybody votes Democratic. In fact, the state of Massachusetts is still the most Democratic voting state in the country. What are your thoughts about Cambridge in 2014? Cambridge has had a terrific evolution and I mean for the better. When I grew up, there were very few parks. There were very few things for kids to do. The educational system was somewhat average. The city wasn’t kept up that well. There was minimal attention to development in the city. Unfortunately, there was a lot of political corruption in the city. They tended to hate Harvard. They didn’t want the Harvard people getting control of their city. The educational system suffered because of that. Today it’s dramatically different. The schools are better. What I’ve seen is tremendous influx of immigrants, from the Caribbean, from all over the world coming to Cambridge. When I was in school here, there was minority community of blacks on Western Ave. and River Street. Poor, basically, some working-class. There was actually a middle working-class community up around Concord Ave and Walden Street. Many of them worked in the post office, for the government, for the MTA, they had pretty good lives. But there were very few immigrants. The only immigrants were Portuguese, and they worked in East Cambridge in the shoe factory and the food processing places in East Cambridge. Today in the high school we have multiple languages being spoken. The opportunities are terrific in Cambridge. 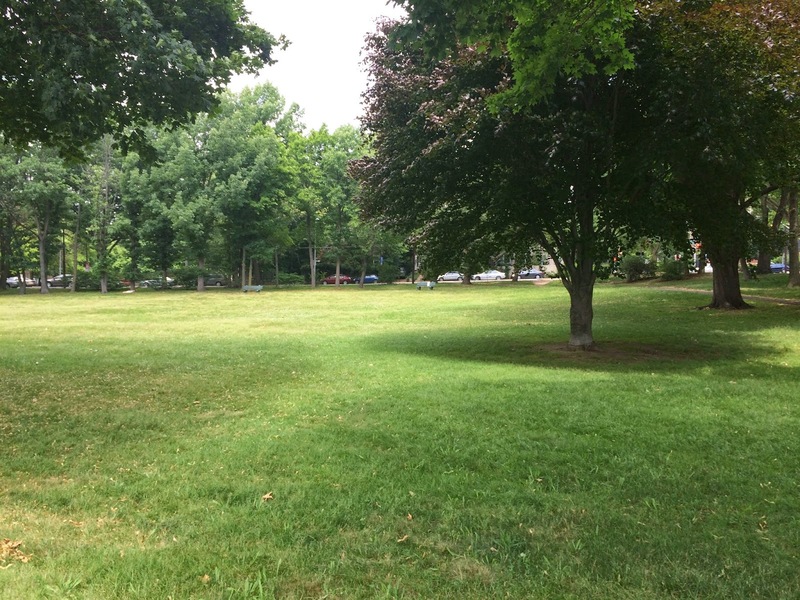 With the subway extension, they took the debris from the subway and they stored it up at the dump and then the turned the whole dump into a beautiful park, and the subway extension in the '80s really made a dramatic difference in Cambridge and Somerville. Today it’s a terrific city. Excellent tax base. 1960 Kendall Square had been torn down. They were going to situate NASA there, and what happened was, the story goes, after the death of Kennedy, Lyndon Johnson said NASA’s going to Houston. Whether that’s true or not, I’m not sure, but the whole area sat vacant for years, which was a good thing, because they did some very good planning. It’s kind of like the Silicon Valley of the east. I've seen the city go from working class, basically working class, to a situation where real estate - because people want to live here and they want to work in Kendall Square in high tech area - real estate has gone through the roof. For the average citizen, owning a single-family home here is beyond their means. A lot of people have moved to the suburbs. Do you care? A lot of people get very bent out of shape about that, but they didn’t grow up in Cambridge. They moved here. I think a lot of it has been for the better. I’ve seen the city purposely not go the total gentrification route. 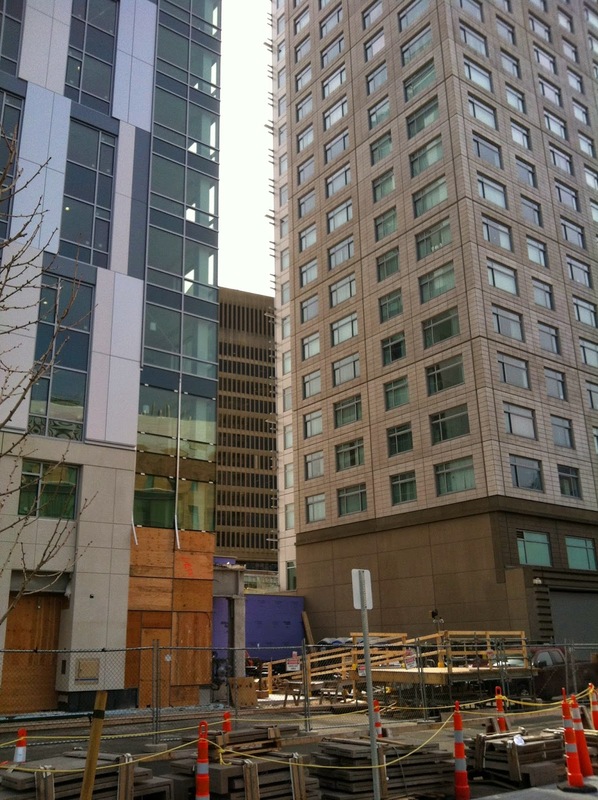 The city has built a lot of low-income housing so they could retain working class people. There have been a number of housing projects put in since the war and they’ve maintained low-income housing for people of lesser means, so it hasn’t been an exclusive city although real estate is sky-high. You also have the opportunity if you don’t have the means to live in low-income moderate housing, mixed housing, which is a good thing. This city could be if they didn’t make an effort it could be exclusively upper class, very wealthy. It could look like some of the suburbs, Lincoln or Winchester or so on. The city fathers made an effort to include all socio-economic groups within the city itself. I think they’ve done a pretty good job. The stories white people tell themselves. The end of the American Century.